One of the sweetest dish of south India, easy to make and readily available ingredients makes it a flavor to cherish. A very good healthy payasam. =►Preheat a tava, add ½ tsp of ghee and yellow moong dal into it on a medium flame. =►Roast it until the color changes from yellow to light red and keep it aside. 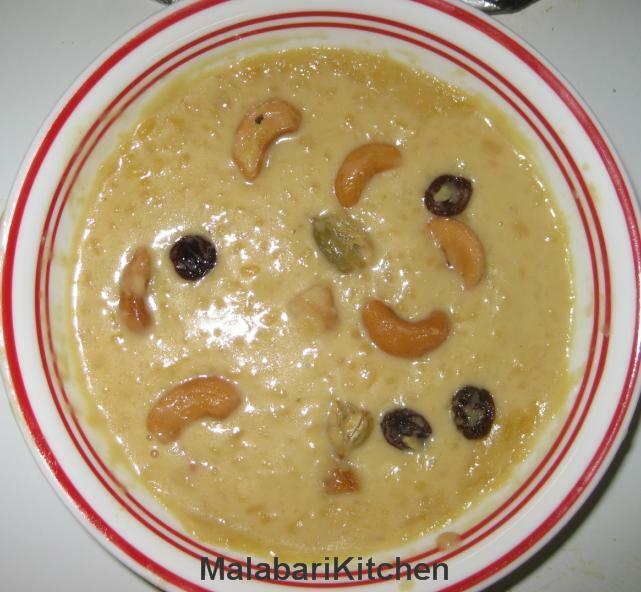 =►Heat ghee in another pan, add and roast raisins & cashew nuts separately. 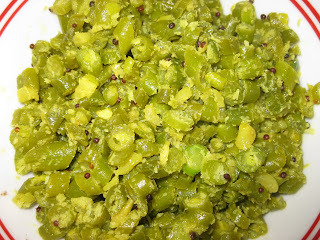 =►Cook moong dal with 1/4 cup of coconut milk and one cup of water. (I used pressure cooker and allow it to give 2 whistle). =►Next take 4 cubes of jaggery in a pan and add 1/4 cup of water, allow it to melt properly and stir continuously. 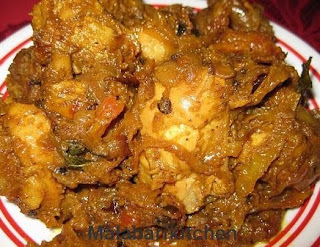 =►Reduce the heat and add cardamom, 1/4cup of coconut milk into it and mix it properly. =►Finaly switch off the flame and garnish with raisins and cashew nuts…..